$5 1795 Small Eagle MS-62 CAC. Hover to zoom. Activity from the start was strong and the pace carried through the live sale. In sale 29, more than 90% of the sales were to collectors. In many cases, there were multiple bidders per lot. It is clear to us that buying from an auction is becoming the preferred choice for collectors. That is why LRCA is always working to improve and operate a better platform. As we mentioned, activity was strong. Here is how we saw the sale: Marginal, non-CAC coins sold cheap. Coins either with the CAC sticker or were fresh (like the commems) sold strong. 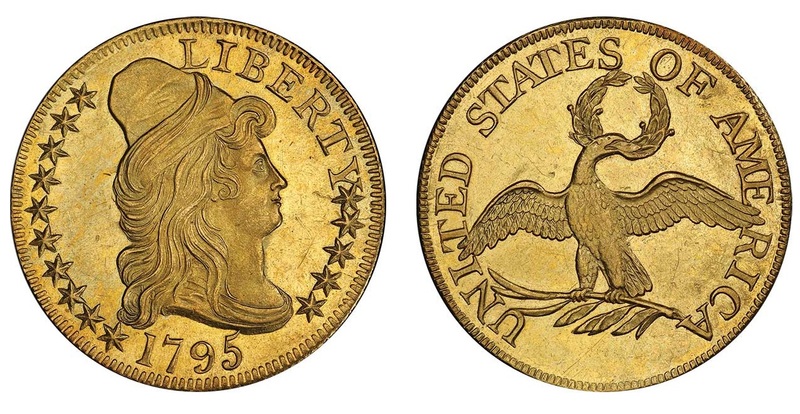 When the “right” coins were offered that were CAC and of the highest quality, prices were strong to near record-breaking. Overall, the coin market is really two-tier. Anything less than 100 percent and it simply will not bring a full price. Legend Rare Coin Auctions is now moving forward preparing for our first “stand-alone” sale to be held in Beverly Hills, California, pre-Long Beach on January 27th, 2019. We already have two major anchor collections and many single neat coins which will be announced shortly. Our consignment deadline for that sale is December 3rd. I would like to know if somebody else has problems to open the internet-site of mintnewsblog.com on her/his computer. I am always asked to give a username and password. There may have been some momentary interruptions with the pages loading when you visited but this is not the case for the time being, please log on and enjoy! It’s great to see the interest generated for coins at these types of auctions.